Editor: please enjoy this guest post by Fr.  Lee Nelson, rector of Christ Church Waco and guest instructor for Brazos Fellows. This past summer, at the close of the GAFCON Conference, I rented a car and drove into Bethlehem to visit the Church of the Nativity, the traditional site of the birth of Jesus. A church has stood there since the 4th Century. Saint Jerome says that in 135, the Emperor Hadrian dedicated the site to Adonis to wipe out the memory of Jesus from the world. Now, the church stands in the middle of Palestinian territory, surrounded by walls. The residents of Bethlehem are nationless prisoners, unable to get out, most of them unable to get passports. The word Bethlehem means “house of bread” or “house of struggle” in the Hebrew language, and as I drove up to the church, I was reminded that very little has changed. Our world is still at war, still mired in conflict. Today, a war has been raised in the halls of government and in the academy against all that is transcendent, all that is outside of this physical realm. Yes, there has always been an attempt afoot to wipe Jesus Christ and his memory from the earth. At the heart of Christian believing is the conviction that God the Son has wrapped himself in our humanity, that He has become one of us. That being true, those who are His own have only one calling: total surrender and total obedience. If we are to live rightly in this world, so characterized by struggle, it can only be by being a people of continual remembrance: the remembrance of the great work of God in redeeming us, the great work of the Incarnation, the great work of the Lord’s Death and Resurrection. And so, we gather this Christmas to remember, and more than remember, to know this great mystery again, to engage in the subversion of this world by the proclamation of the Gospel. Each Christmas, the Church is returned to Bethlehem, a place of struggle, a place of unspeakable ambiguity, to worship, to rejoice, and to pray, knowing that God has reached into the darkness of this world himself, knowing that God has come to dwell among us as one of us. And that is the hope of Christmas, that we have not been abandoned to chaos, but have been rescued and powerfully redeemed by this great gift.